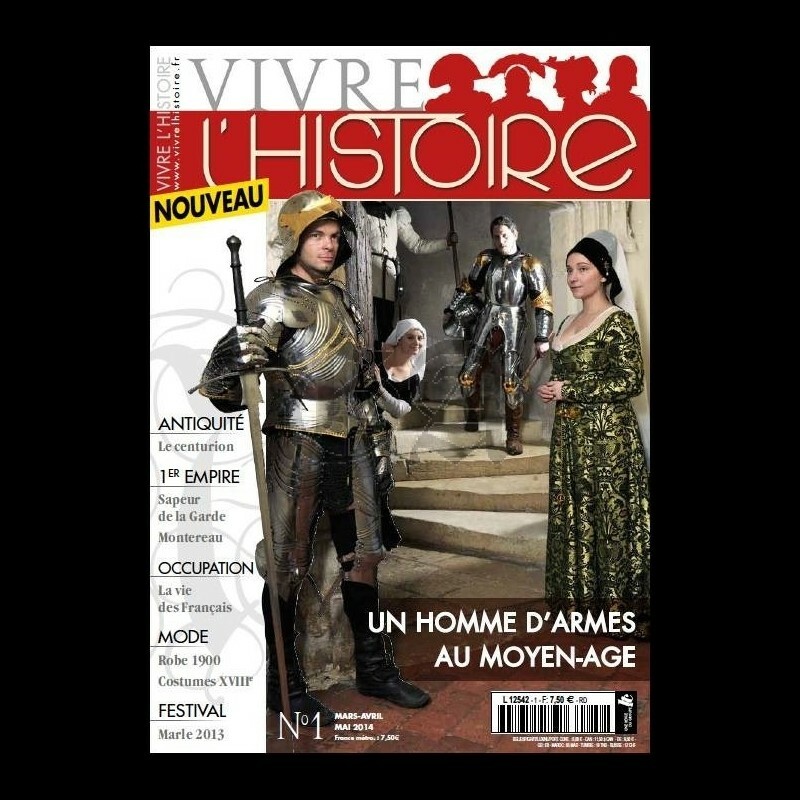 As we do not wish to cause any harm to the magazine, we refer our readers to the said publication. 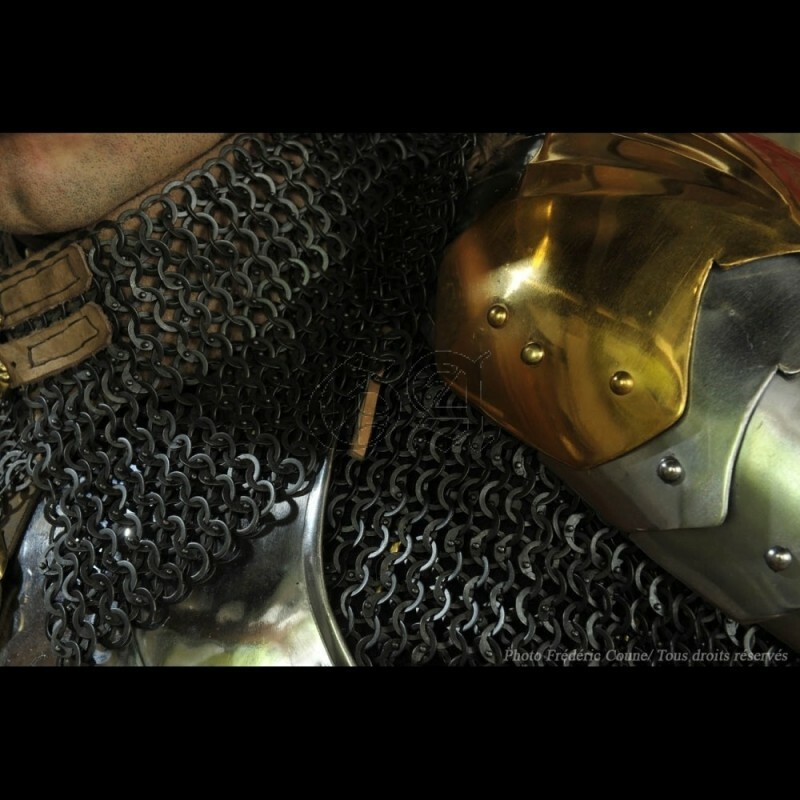 This article studies in details each piece of equipment, explains how the armor can be reinforced or lightened depending on the expected type of combat and the options selected. 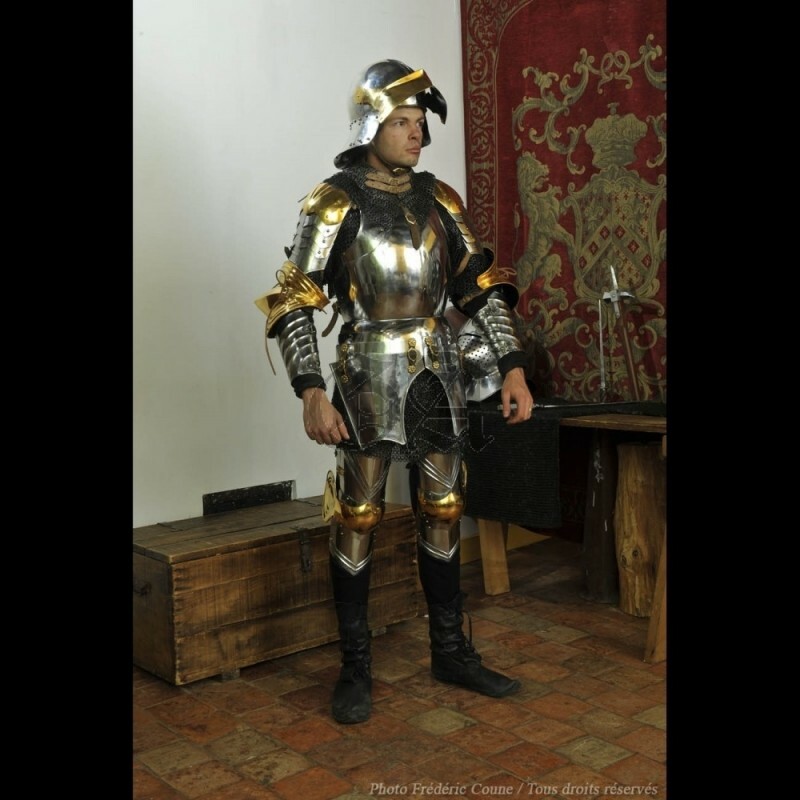 The training of the ordinance companies and the ducal guard is also discussed. 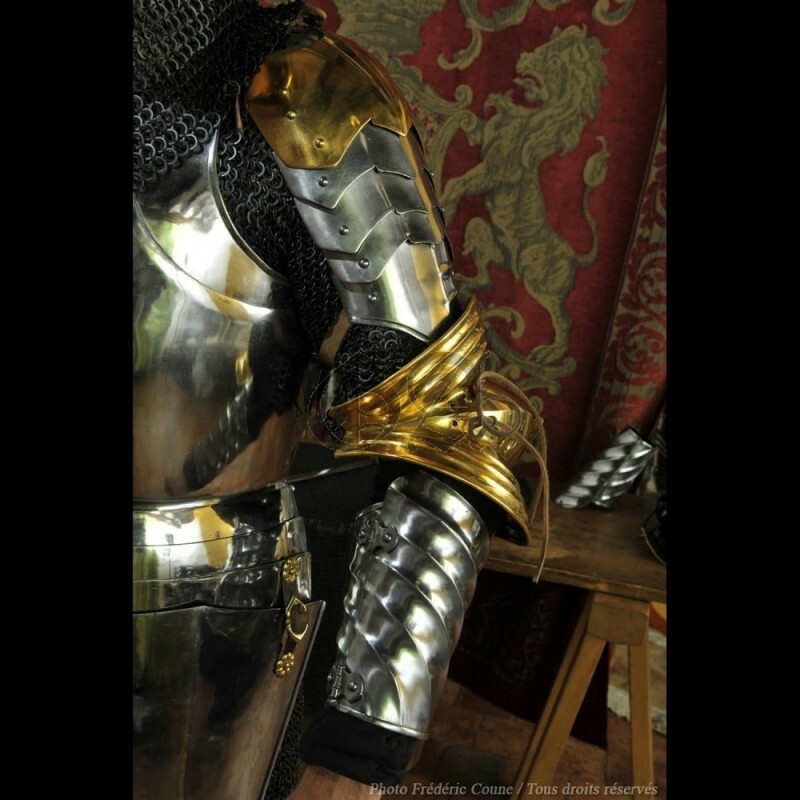 As well as the market of luxury armour or the resistance of armor to arrows, crossbow bolts and bullets, depending of the century. 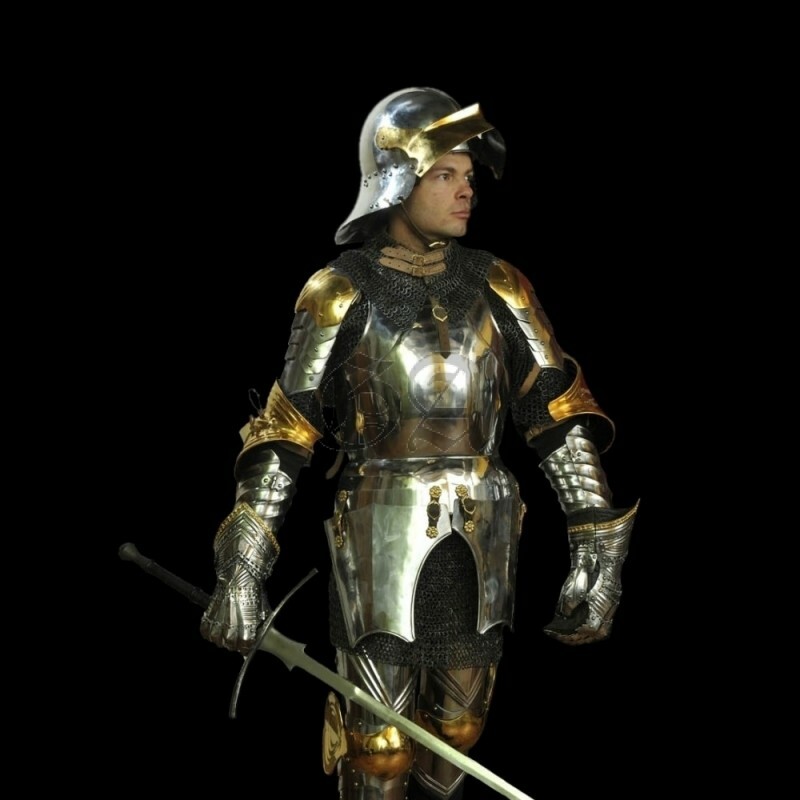 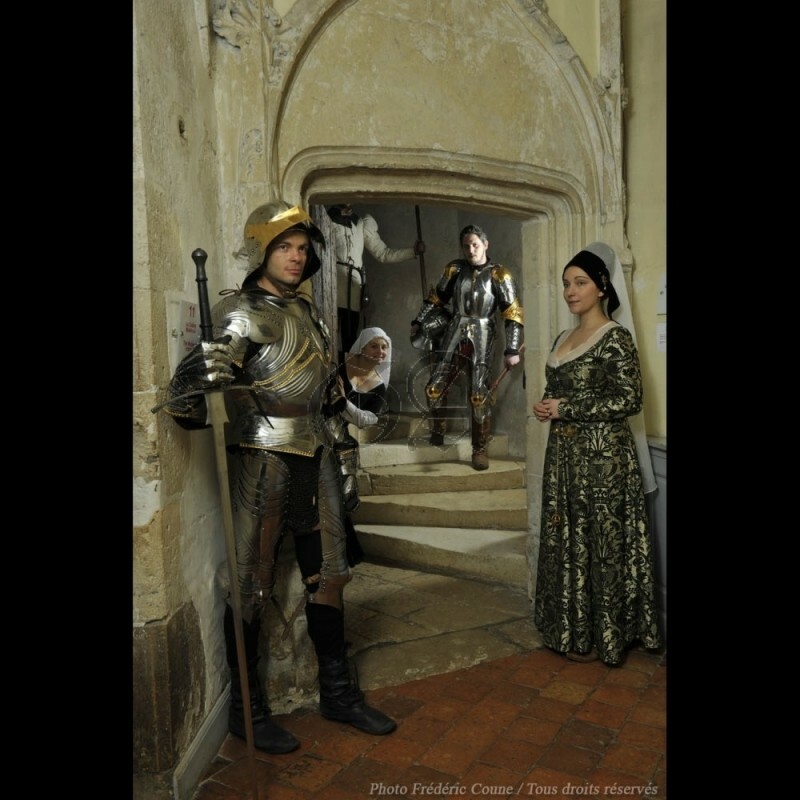 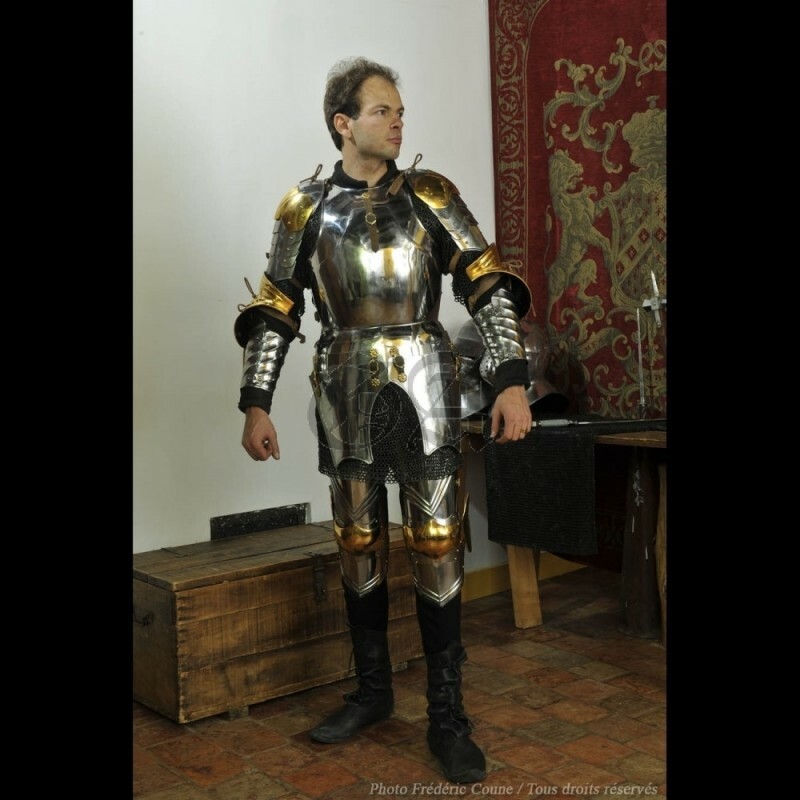 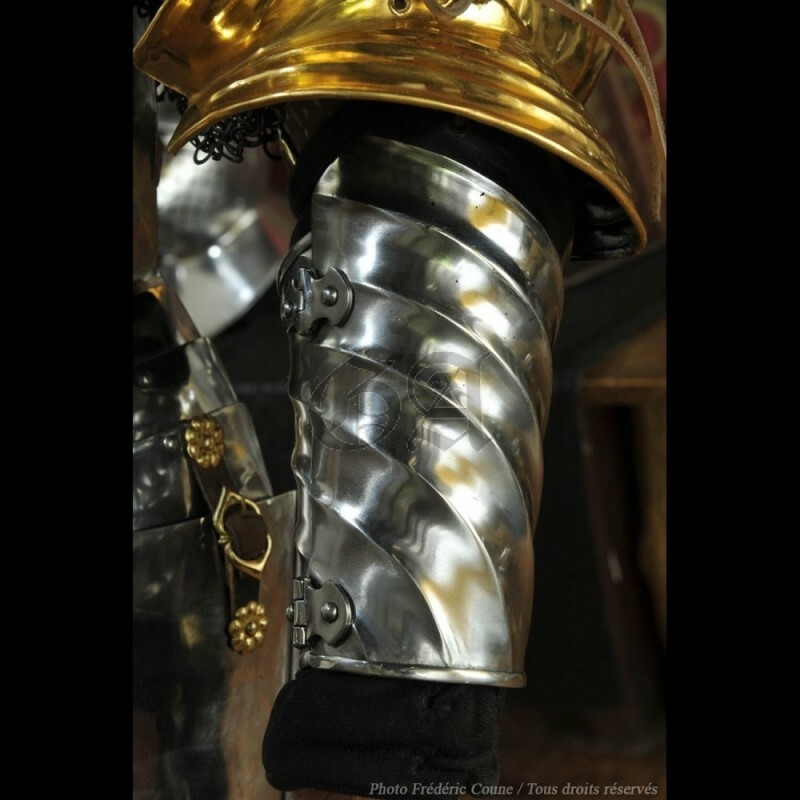 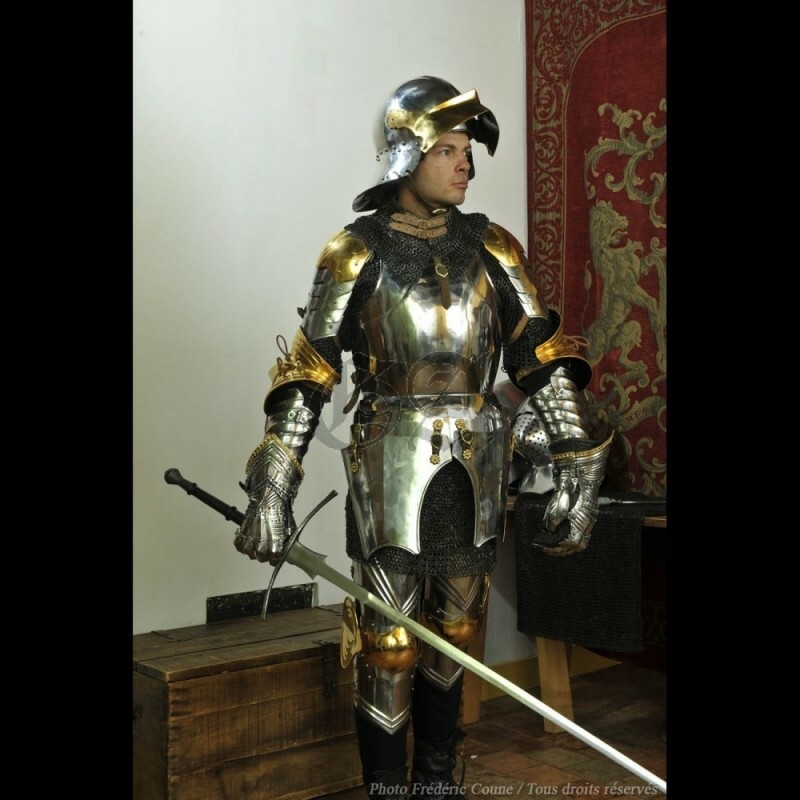 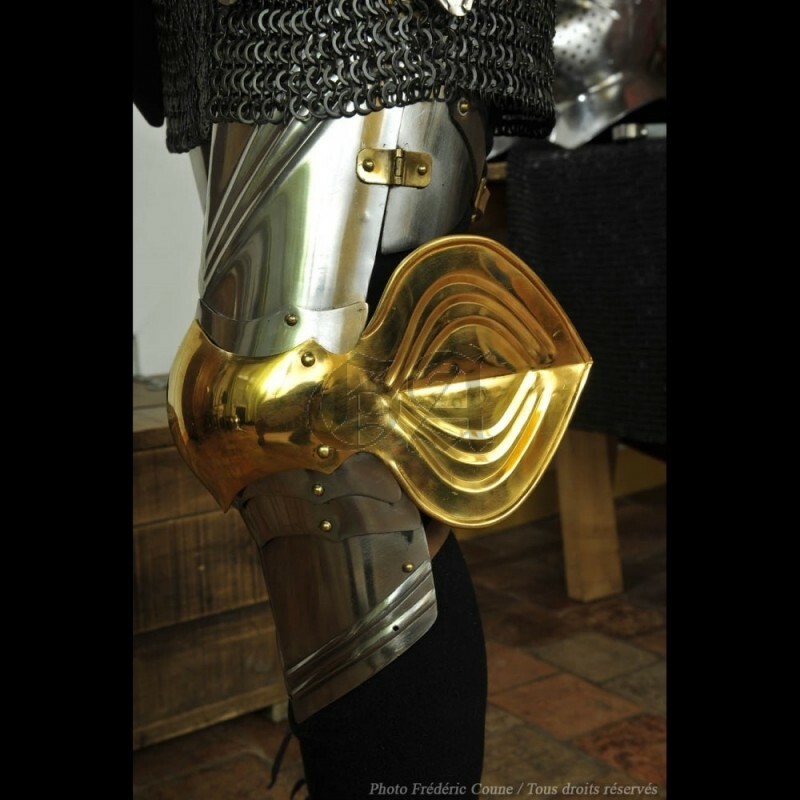 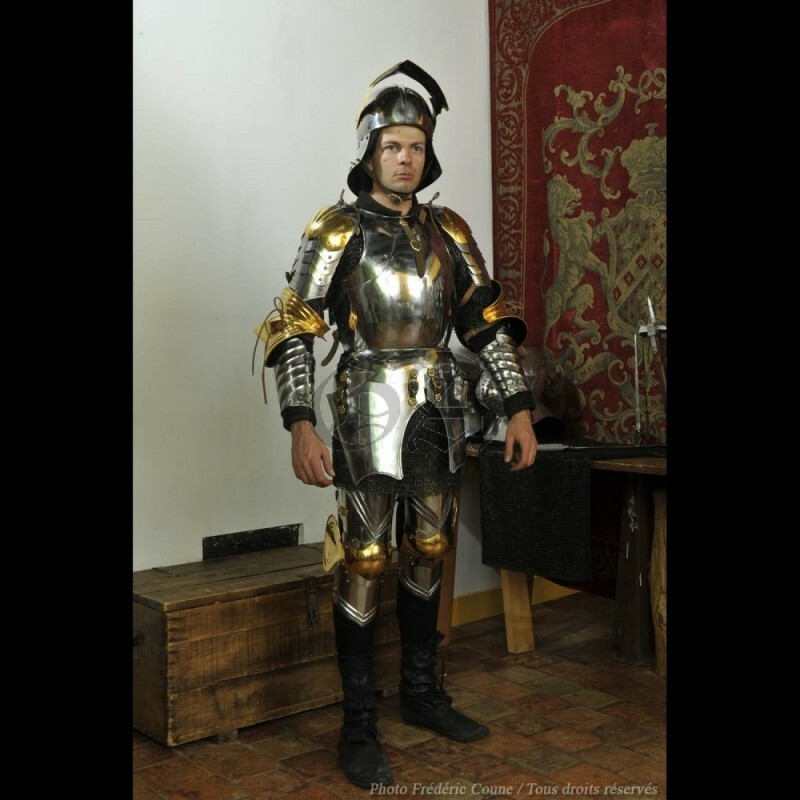 Like the basic veteran model (from which it incorporates many parts) this armor combines the good protection offered by the Italian style to the excellent mobility typical of the Gothic style. 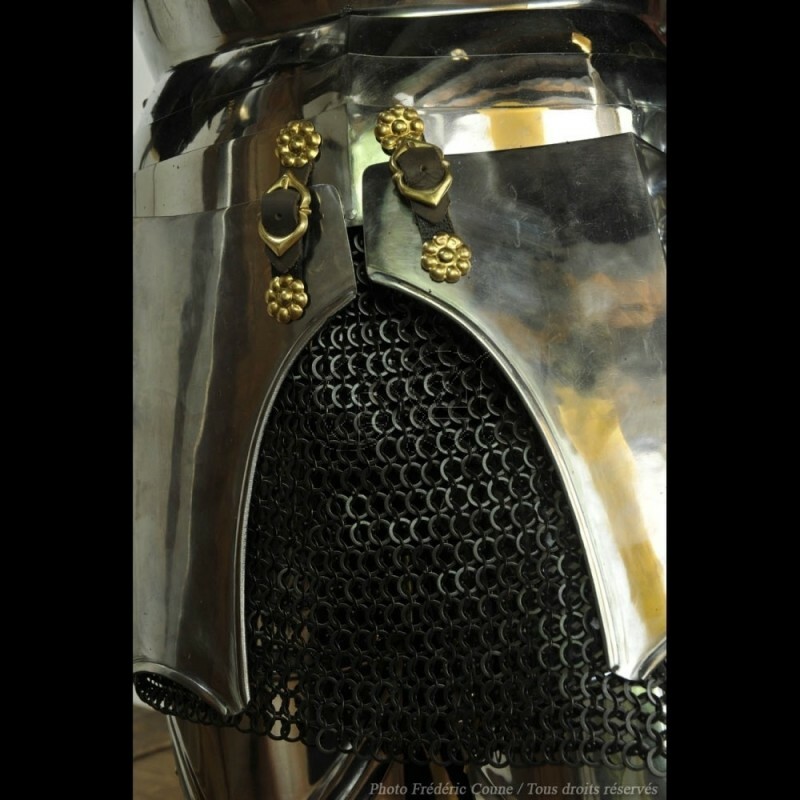 Choose it for its unequalled mobility : designed after our patient research, it is exactly articulated like a museum original. 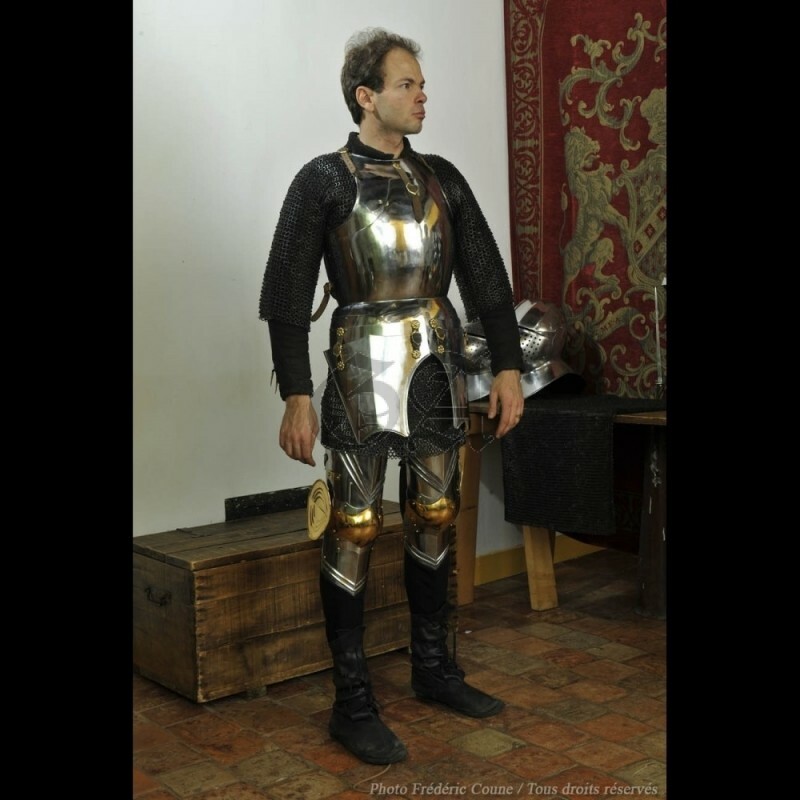 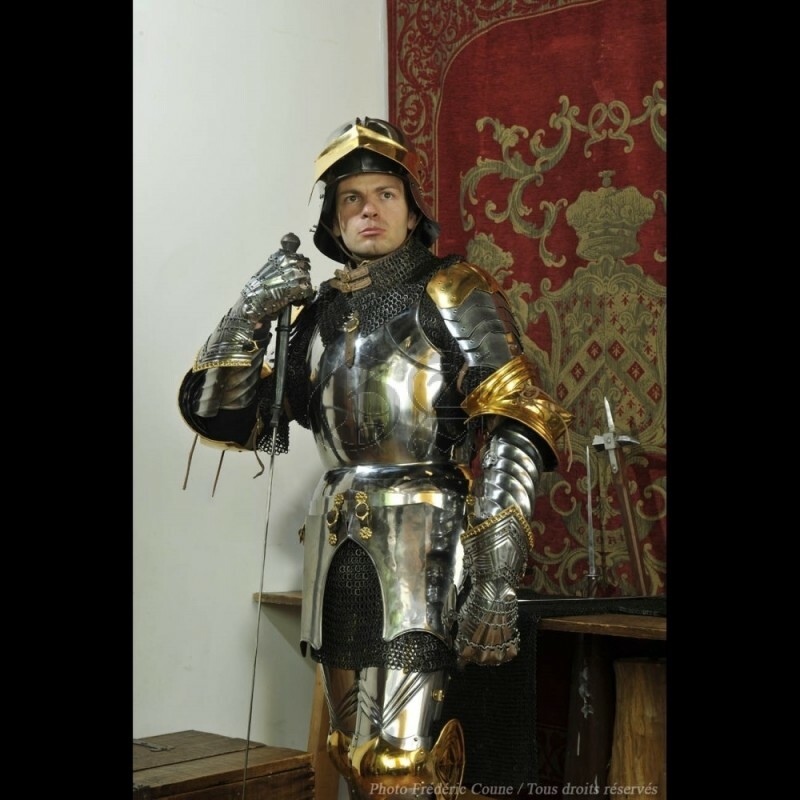 If you want to fight with the same mobility than a XV century man-at-arms (or astonish the ladies by turning a cartwheels like the famous marshal Boucicaut;) this is what you need !